Research from Office Team in late 2012, of over 500 companies with 20 or more staff, found that 63 percent of surveyed hiring managers said they were now often conducting interviews by video, a 14 percent increase from the previous year. If the growth trend in video interviewing continues, we could expect the percentage of companies conducting video interviews to reach 70 percent. 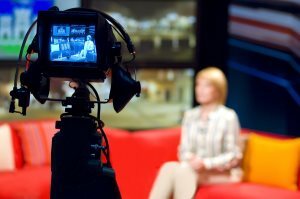 So, if you are not conducting video interviews regularly, you are not just behind the theoretical curve of progressiveness in HR practice you are actually placing yourself at a real disadvantage to the wider marketplace when it comes to the field. Why? Because in truth, the video interviewing strategy should be ‘done and dusted’ and should be a core part of the hiring process. Employers should be focusing on integrating new technologies like big data and mobile technologies into their interview process to give their talent attraction processes greater competitive advantage. Today’s most talented candidates are busy and in demand, and if you want to attract them you must start to build flexible hiring processes that enables you to effectively engage with this elusive top talent. One of the best ways to do this is to use video hiring as standard at first interview, making it easier for you to connect with top talent in a non-committal way. This approach is far more convenient for candidates, which means talented time pressurized candidates will be more likely to interview – and interview sooner – with first round video interviewing than if they had to meet face-to-face. It may be easier for you to coordinate your own internal interviewers for video interviews, (especially those who do not work at the interview location or who are in different countries), so video interviewing can help you to minimize delays that may arise as a result of your own internal scheduling conflicts. Rather than a talent shortage, many experts are beginning to talk about a global talent mismatch. That is, there are talent shortages in some regions of the world and surpluses in others which can cause business to outsource or offshore to international locations. Video interviewing is a crucial tool to enable you to efficiently and cost-effectively assess and engage with off-shore talent, helping your business address its talent needs and expand into new markets. This is often the most exciting and overlooked aspect of video interviewing, and the primary reason it should not just be seen as a second class citizen to face-to-face interviewing. In fact, there are distinct benefits from having the interview occurring in cyberspace; that is, the interview becomes a live multimedia-enriched interview experience where you review and discuss the interviewee’s social media profiles, online portfolio, live work samples, and/or presentations on slide share right alongside the interview discussion. The hiring managers can also share their own content with the interviewer for comment and discussion and see how well the candidate interacts with the interviewer in cyberspace, and how much the candidate’s working style is integrated with technology. The video interview can and should be a multimedia enriched and, in some ways, an enhanced-interview experience over that which can be achieved in a face-to-face interview. With expected advances in holographic imaging and augmented reality, one can only expect the video interview experience will be ever more crucial to the hiring process in year to come. As you can see, video interviewing brings huge benefits to your hiring process in terms of cost reduction, increasing speed of hiring, and increasing flexibility. These factors will ultimately enhance your ability to attract critical talent in today’s competitive candidate market. I urge all employers to incorporate video interviewing into their hiring process to ensure it remains relevant and tuned into the needs of the modern job seeker.